Fast response 24/7 services are what people need when they found themselves in impossible lockout or similar situations and what our company offers. By being dedicated for many years in this domain and the actual needs of customers, “Locksmith in Spring” is perfectly aware that speed and around the clock assistance are what people need when their keys are stolen or their door doesn't open. By offering fast response key and lock repair services on a 24 hour basis, we guarantee that security problems will be handled on time and you won't have to worry about your family or the security of valuables anymore. What makes our company a great choice for all your urgent needs is our commitment to offering quick, 24 hour and efficacious services. This is possible thanks to our remarkable team of skilled technicians and our state of the art equipment. Who doesn't understand the nightmare of lockouts! Two out of three people have already experienced lockouts at least once in their lives. What's good for you to know is that our company can help you faster than you would think. By offering fast emergency lockout service, our team saves you from delays and even prevents worse problems related to someone's safety. Is your pet trapped in the trunk? Is your baby locked inside the car? We offer emergency trunk opening, know how to open car doors without damaging the locking mechanism, replace all sorts of keys, activate chip keys and can make a new transponder key. All car urgent problems are fixed by our team and so are all residential and commercial lock and key issues as well. Locked out of your apartment? Our professionals will be at your address shortly. 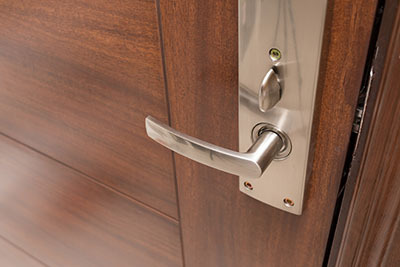 Whether you are locked out of your property or someone is locked in, our help is immediate. When the keys of your office or home are stolen, don't rely on the duplicate. Call us for emergency lock rekey so that you will be sure of your security. Our professionals can help you anytime and make a new key on-site. The 24 hour services our company provides embrace all emergency needs. We open trunks, doors and safes; program, fix, replace and activate simple or high tech keys; and repair, rekey, change and replace all locks. Our fast response is ensured whether it is day or night time and the quality of our work is always to your satisfaction. Every technician of our business knows how to operate the advanced machinery kept in our vans and knows what must be done so that your property will be secure again. Call us after burglaries for emergency lock change but also call us to fix the malfunctioning lock so that break-ins will be prevented. We are ready to help you 24/7 and guarantee immediate assistance. Send us an email or simply give us a call!